Hey everyone. So, on Saturday night I was in the mood to scrap. Some times I will go weeks with out creating a single thing. I get so so busy that I only go in my craft space to vacuum. I was so happy to be inspired to crate some journals. I actual saw a pin on pinterest about book binding. 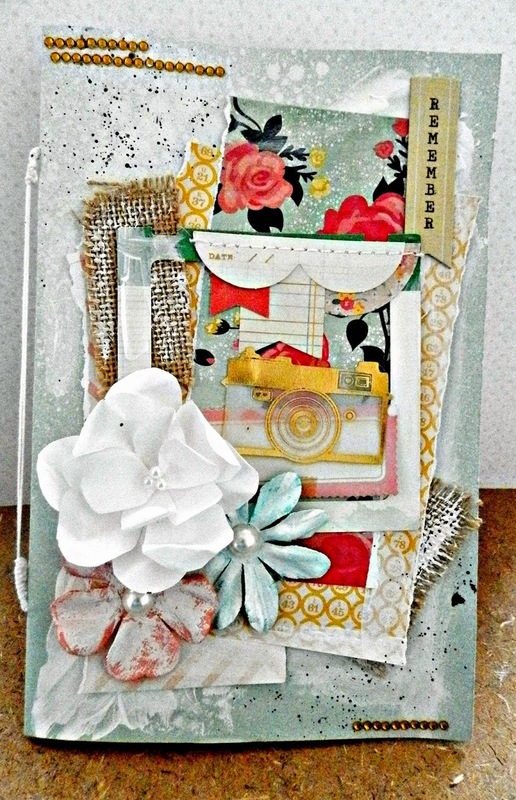 This journal uses a mix of Crate Paper and Maggie Holmes. I kept the layers some what clean and simple. with white washing and splattering. 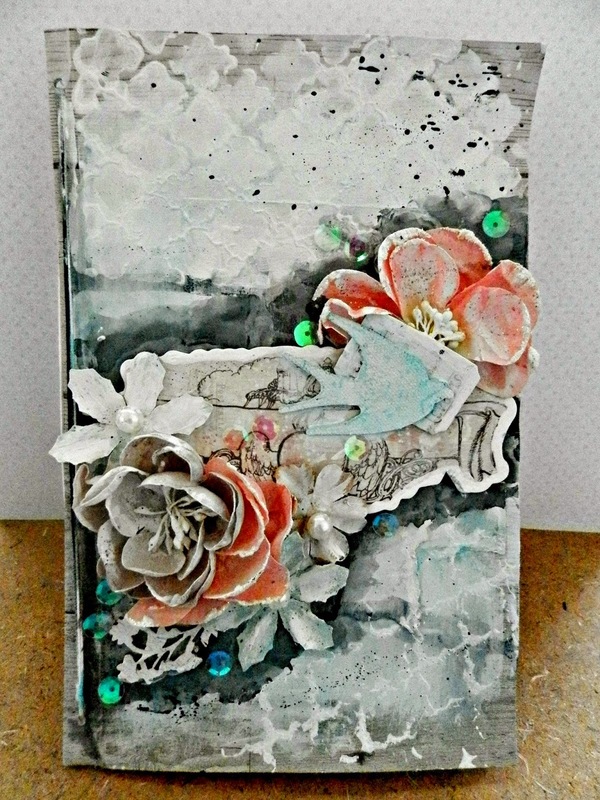 This next Journal was pretty much all in Mixed Media. move with black. I used Prima's Princess collection. I hope you like these projects.